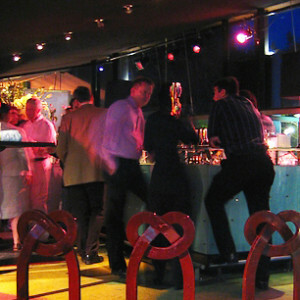 In 2005, the Cobra Café was awarded the status “Huis der Gemeente” (House of the Municipality). This allows you and your partner to say “I do”, either in the Cobra Café or on one of its terraces. The Museumplein is the ultimate photogenic location for any wedding photographs. The Cobra Café has considerable experience in organising receptions and parties, offering a 3- to 5-course dinner or a luxury buffet. 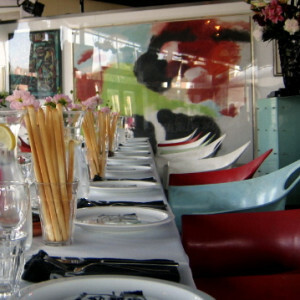 We can also provide sit-down dinners for parties of 40 to 100 guests. Cobra now considers itself somewhat of an expert in the organisation and successful conclusion of festivals and parties. Everything is open to discussion! Cobra can provide the entire decor, your entertainment and the catering. The function room caters to groups of up to 250 guests, with room for a further 80 on the side terrace. The large terrace (available on request) can accommodate an additional 400 guests. Cobra has an eye for detail and can ensure a professional “finishing touch” to any get-together. Drinks parties can be held after lunch for between 60 and 300 guests. During the terrace season, there is an option to rent the entire terrace or just a part if it outside normal opening hours. The Cobra would, of course, provide the catering, DJs, decor and the entertainment. Info: You can not make a reservation during normal openinghours. Info: Diner with more than 40 persons and parties with more than 60 persons. Info: You wil receive a email after your request. Uw bericht is in goede orde ontvangen. We zullen uw vraag of verzoek binnen 24 uur telefonisch of per e-mail beantwoorden. We are sponsors of Kids for Ghana.